I just started to receive instructions to become a glider pilot, yay me! :) I (and my instructor) have noticed that I have the tendency to keep the head level (eye-line parallel to horizon) in turns and my instructor says that wouldn't be a good idea, because at some point I won't be able to keep the head level anymore, so I should practice with keeping my head level to the lateral axis of the plane, i.e. inclined together with the bank and eye-line parallel with the wings. What do professional or experienced glider pilots do? Is it maybe a matter of taste? Or should I let go of this tendency because at some point I just can't use horizon and gravity-sensation to orient myself (due to g-forces, spinning, etc.)? I am not a glider pilot, but the principle holds for flying any fixed wing aircraft1: you should keep your head level with the aircraft, as you described, not the horizon. As your instructor explained, there may come—or will come—a time when you are not able to keep your head level with the horizon due to the nature of a particular maneuver or orientation, and that is a practical matter to consider. It is certainly difficult to incline one's head 60° to the side in a steep turn. From my perspective, however, the more important reason is that your frame of reference needs to be the aircraft. You are used to viewing the world with the ground as your frame of reference; down is down, up is up. As you learn to fly, however, you need to learn a new way to view three dimensional space, or—more specifically—the way you move through that space in the aircraft. It might sound cheesy, but you really need to learn to become one with the aircraft and hold the same perspective regardless of the aircraft's orientation. Now, that being said, as you gain experience and develop your skills, you may come to realize that this perspective shift does not always require that your head remain rigidly perpendicular to your shoulders. Rather, it is a matter of perception which will eventually be independent of how your head is oriented relative to the aircraft. At my first flying job I spent much of my time in maneuvering flight and my head was rarely still—much less level with the aircraft. I spent a great deal of time with my head on a swivel, looking up and down, side to side, craning forward to clear into a turn, looking back into the cockpit, etc.  At this stage in your training, however, it is probably important to train to keep your head straight within the aircraft; certainly follow your instructor's instructions, and you should do well. 1This probably holds true for rotorcraft as well, or any aircraft for that matter. I am only sharing what I am familiar with. I was taught (by multiple instructors) to keep head straight. During my instrument training, I was told it helped w/spatial disorientation. During my aerobatic training, my instructor sat behind me and would slap the back of my head if I did not keep it straight during maneuvers. 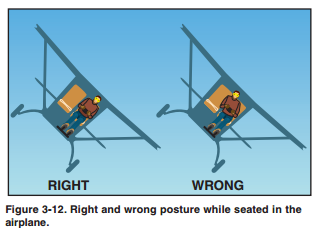 straight == not tilted, lean back and keep head firmly planted on headrest, do not compensate bank, etc. If you keep level with the horizon then you are not maintaining an even lookout all round for a start and when you find yourself in a stack of other gliders in a thermal you need to keep a good lookout even with FLARM. In addition what the head does the body tends to follow and so you may find yourself unintentionally decreasing the bank angle to match your head and then slipping out of the turn. You need to keep your head level with reference to the airplane and not the horizon. Until you learn this basic building block, other more advanced things will be difficult to grasp. As others have said, keep your head straight in reference to the aircraft. To add to Ron's comment, head leaning can lead to coriolis illusion. I find this an odd question. When I am looking over the nose, my head is wings level. But most of the time my head is moving around anyway, scanning for traffic and scanning instruments. And especially when turning, I am looking through the turn which means say 30 degrees to the side of the nose, and up and down over the horizon. So I can't say how my head is oriented, except to say it's pointed at where I want to look. Not the answer you're looking for? Browse other questions tagged glider or ask your own question. How should a glider pilot signal turns to the towplane? What is the optimal bank angle to accomplish a given turn in a glide? Which should I get a FAA glider licence or a Canadian glider licence? What's the maximum bank angle of a glider? What should I look for in weather reports in order to pick a day for glider flying?